The Cardinals move to 27-15 overall, 8-7 in the ACC which is good for third in the Atlantic division conference standings behind Notre Dame and Florida State. 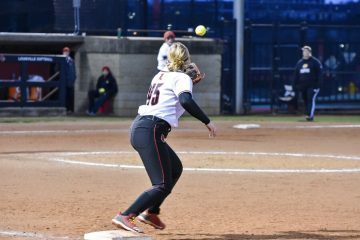 Megan Hensley got the start in the circle for Louisville. 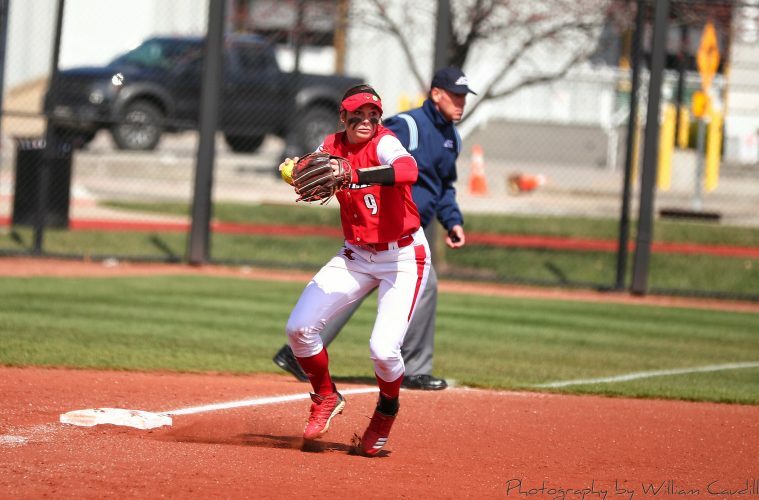 She gave up 1 hit and 1 run as the Eagles were able to jump to a 2-0 lead through her 5 innings on the mound before being relieved by Taylor Roby. Roby picked up the win in the circle, allowing 1 earned run 1 hit and striking out 2 in 3.2 innings of relief. 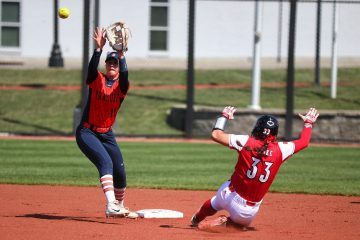 UofL was able to connect for just 2 hits and held scoreless through the first 5 innings before the offense rolled into the top of the 6th and 7th inning to victory. Hensley and Roby were both hit by pitches Rebecca Chung reached on an error. Consecutive RBI singles by Caitlin Ferguson, Kyra Snyder and Cassady Greenwood gave Louisville a 3-2 lead. Maddy Newman followed with a two-run single to give Louisville a 5-2 lead. In the top of 7, Roby was HBP for a second time Chung walked and Snyder singled to bring up freshman Charley Butler who connected on a bases-clearing double. Newman followed with a double of her own to plate Butler, making the final score 9-2. Danielle Watson took the loss in game 2 of the series. She allowed six runs, five earned, on four hits and striking out four in 3.2 innings. Roby came in as relief for 2.1 innings allowing 3 hits, 2 runs and 2 walks. Roby would single in the top of the 4th to spark the offense to load the bases and tie the game 2-2 but Boston College would capitalize on three hits, three walks and an error to put up a four-spot in the bottom of the inning. The Cards would attempt another late game rally in the top of the 7th with the score 8-2 Eagles.. Sidney Melton led off with a double to set up a two-run homer for Hensley. With the bases loaded and 2 out, UofL was struck out to end the game and evening the weekend series with the Eagles. After a sort of slump in the past couple weeks, the top of the lineup comes up big at the plate in the rubber match with Boston College. 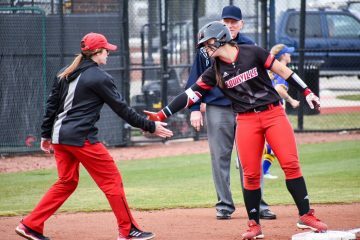 Hensley connects for 2 homeruns and 4 RBIs and Celene Funke goes yard to drive in 3 runs for UofL as the Cards win the weekend conference series vs the (14-25, 4-11) Eagles. It is Funke’s 3rd HR of the season. 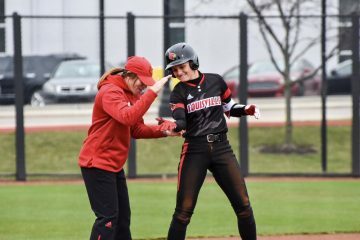 With a 7-2 lead heading into the top of the 6th, Funke singled and Melton reached on an error to set up Hensley’s second HR of the game, one over the left field fence for her eighth home run of the season, a team best and 33 in her career, she is tied for 4th on UofL’s record list and needs 3 to move to a tie for 3rd. Roby picked up the win in the circle when she relieved Hensley after 1.1 innings. She allowed 1 hit and no runs across. Louisville leads the series with Boston College 7-4. 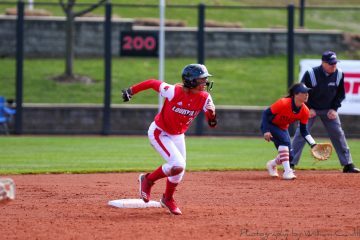 As a team, Louisville has registered a program-record 77 stolen bases on the season. The previous record was 68, set in the 2010 season. The Cardinals will return to action on Wednesday when they play host to in-state rival, No. 23/24 Kentucky at 6 p.m.